The area around Lutzville was originally known as Vlermuisklip, a reference to a rocky overhang near the town called Vleermuijsklip. The cave was often used by early travellers as a shelter, and was first named by Pieter Everaerts in 1661. Other visitors included Governor Simon van der Stel, and Pieter van Meerhof, who was the first European to reach the Troe-Troe River near Vanrhynsdorp. British soldiers also used the shelter during the SA War (1899-1902). The town Lutzville was established in 1923 and named after Johan Lutz, an irrigation engineer who worked on the Clanwilliam Dam and also surveyed the Lutzville area for agricultural development. The town has a population of just over 5 000 and services a farming community that produces wine and cultivates beans and tomatoes for the canning industry. Lutzville’s popular visitor sites include two national monuments: Vleermuijsklip Rock and the Melkboomsdrift farmhouse, built in 1825. The Sishen-Saldanha railway bridge over the Olifants River is worth a brief stop on your journey too. Completed in 1975, the bridge is 1 035m long, supported by 22 pillars that each extend 45m into the river bed. Nearby lies the small village with the memorable name of Koekenaap. It was first settled in 1928. While various legends as to the source of its name exist, the truth has been lost in time. 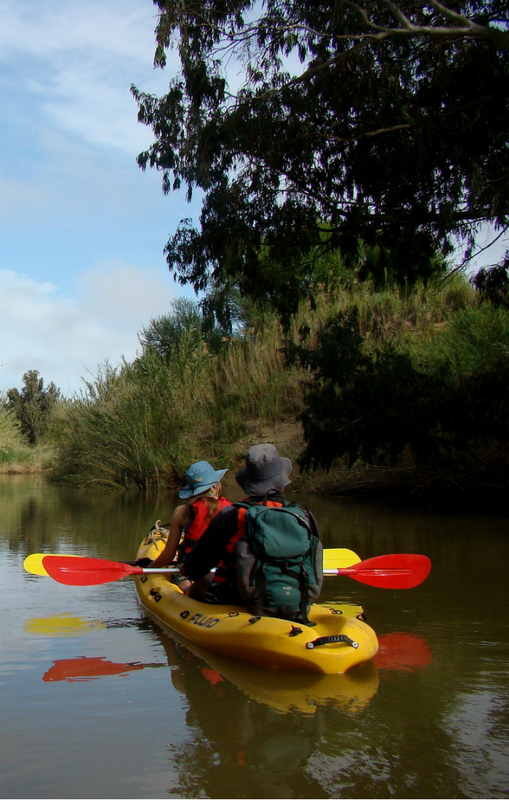 Lutzville and Koekenaap are neighbouring towns on the Olifants River and joined by the R362.